When we first met Dillon he was really shy, and you’d be lucky to get a few words out of him even if you asked a direct question. 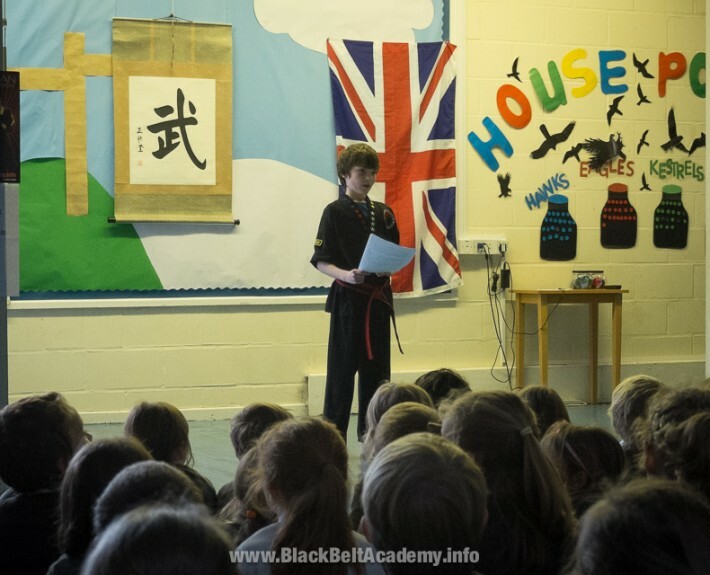 How amazing then to see him a few years later where he stood up in front of his whole school and gave a 20 minute presentation about his martial arts to well over 100 people! Such a huge improvement in his confidence since he began training at the Academy.